He better have something for Mrs. Claus if he knows what's good for him. Make sure Bob R. learns that early! If wife says, "That's okay, I'm fine!" -- know that she is full of you know what so get her something sparkly anyway. Or an iPad. I am laughing at what gradydoctor said. She is RIGHT! Send Bob Rosenberg over here and I will tell him about Christmas Trees and pagans. This could serve to confuse him even more. Or not. Bob seems smart enough to me to figure out the tenuous web between religions and their celebrations and...Star Wars. I am certain Dad Rosenberg had no trouble with the "Did the Maccabees play dreidel?" question. oh, NOW that is a good question. I never thought of. I think the elves take care of Santa. 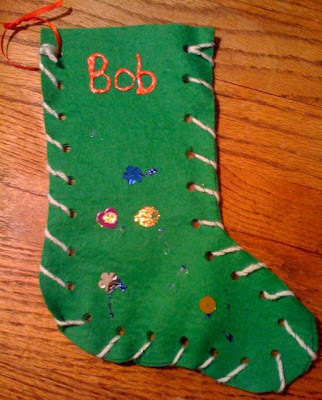 New book: The Tao of Bob (Christmas version). What a thinker! i want to ask santa a question too!